Toni V. Sweeney will explain her series. One thing about writing about a dynasty—it covers a lot of territory and a whole lot of people. When I decided to write a family saga, I took the easy way out. Writing about the rule of the kan Ingans of the Emeraunt Galaxy, I decided to tell only the stories about the beginning and end of that particular reign. Part 1, The Narrative of Riven the Heretic (7 novels) recorded their origins. Part 2, The kan Ingan Archives (8 novels), told of their scandal-laden and inglorious end thirty-one hundred years later. suddenly become a brunet without explanation (or the use of Clairol for Men.) Thank Goodness for the delete/replace button! to time. Age plays a very important part in these stories so I had to keep close tabs on how old everyone was and when. Poll. In 2013, the Paranormal Romance Guild’s Reviewer’s Choice voted The kan Ingan Archives (Part Two of the Arcanian Chronicles) a Special Mention, and the following year, named the individual novels The Man from Cymene, and Space Studs, from the same series two of the Top 8 SF/fantasy novels of 2014. 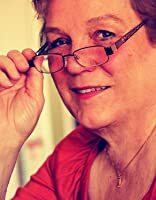 As of 2018, Toni currently has 55 novels in print, including 3 series, and 3 trilogies. Aric kan Ingan had it all. Pampered and spoiled, he was groomed since the age of twelve to be heir to the throne of Arcanis…until his uncle surprised everyone by falling in love with an Earthwoman. Elizabeth Sheffield wanted it all. Headstrong and beautiful, she’d never met a man she couldn’t wrap around her little finger…until she met Aric. The vengeful former heir and the margrave’s bride are instant enemies, trading insults and threats, until the unexpected happens: They fall in love. …with Aric as the not-so-innocent pawn. the man who’d been his tutor as he’d been the margrave’s. looking to see if Aric followed. So it’s like that, is it? Already dispensing with respect since I’m no longer the heir. “Lower your voice.” Kozlu nodded toward the guards on the landing below. Realizing how close he was to letting his anger take over, Aric took a deep breath. “You’ve been drinking, haven’t you?” Kozlu frowned. “I think it’s you who’ve too much pride, Aric,” the old man answered quietly. Aric looked rebellious and didn’t answer. They reached the fifth landing, coming around a dark corner into the archway opening onto one of the stone-balustraded terraces. “Lord Aric, sire.” Kozlu bowed and backed out of his uncle’s presence, leaving him alone in the entranceway. For the barest moment, Aric was tempted to run after the old man, away from the unpleasantness awaiting him. Briefly, he regretted that third glass of brandy.